3 crowdfunding 3d projects that you should take a look. This 3d printer is made to be used by children. TinyBoy have an acrylic frame, a small print area and don’t have heated bed. But fits of the purpose of the project. The new TinyBoy 2 3D printer is designed for learning. To encourage the learners not just to consume, but to become Makers. TinyBoy can be assembled by students using a few simple tools. Students can operate and maintain their own machines by themselves, so they can understand the Maker culture through making. The blueprint of this printer is open, so anyone that want’s to make one can find the source here. And that is a wonderful thought by the creator, Mr. Parker Leung. 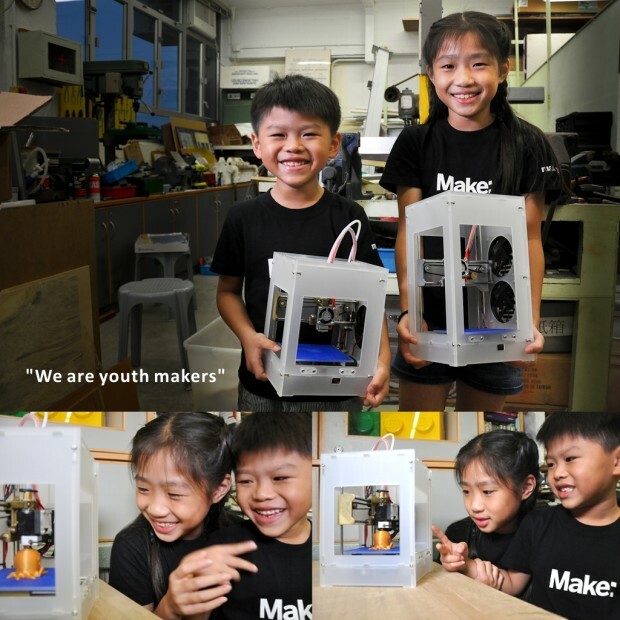 He developed a simple printer for children to use and make the project open source, to reach the world. You can find two blueprints of TinyBoy on github , the first with a print area of 15x17x22cm and the second with 15x17x28cm. TinyBoy is the first project that I found with a social and educational goal. All the company want is to make 3D printers availible to everyone in “the makers world”. If my daughter want to be a maker? TinyBoy is a great option! 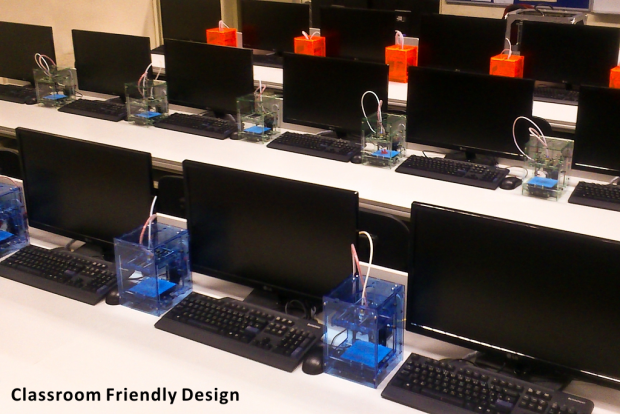 And that is good, to continuously make the 3D world open source, so anyone can build their own 3D printer. Well… How to start this? In the 3D print world, the change is in the blood stream. Always when a new technology appears, the social media tries to figure out if its good or not. So you buy an FDM printer, a scanner, an SLA printer, if you like to work with circuit boards a milling machine and if you like to work with a laser an engraving machine. You will spend almost $3700 dollars to buy all these equipments. And that was the price of the first products that appears on my quick Amazon research. And that could make difficult for a normal working person to buy everything. However, Innovation runs fast in this world. The team of FABtotum assembled an FDM/SLA, milling, scanner and laser engraver in one machine, with nothing more than $2000 dollars. Almost half of the cost to buy all the machines separated. This was the campaign of this prototype in Indiegogo in 2013. And the way that they project the FABtotum, makes easy to change between the functions. Change the head and the bed, you have the SLA printer, change again and you have your milling machine. And these extra functions are add-ons, so you can buy them separated when you have interest. The SLA function called Prism was in an Indiegogo camping last year and raised $155,818 to make this new feature. 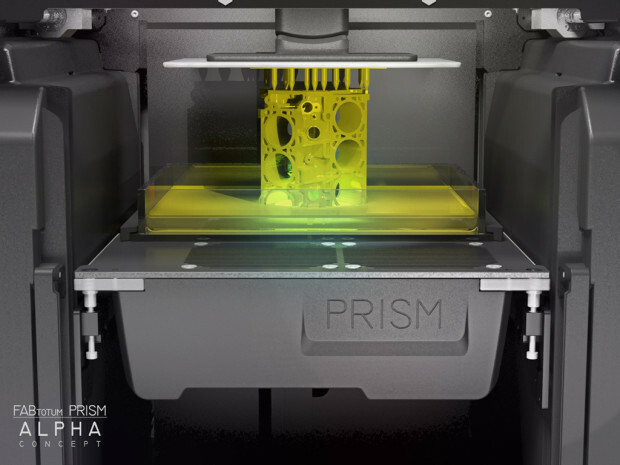 But in their website you can buy the FABtotum with the head of FDM print($259) or the milling head($259). And I think that in the next few months you will find the addon of Prism feature to buy. Is an amazing idea, you don’t have scheduled obsolescence because the add-ons are compatible with the previous versions of the FABtotum. And it isn’t expensive to acquire. This is the Indiegogo camping for the Prism add-ons. And it gets better. If you don’t have the money to import or buy the FABtotum, you can build your own. Because their project is OPEN SOURCE \o/ You can find the blueprints here. Trinus is one of many 3D printers that are on Kickstarter. The focus on this project is in the structure of the 3DPrinter. Most of the 3d printers don’t have a metal structure, and that could be an issue when you want to print in fast mode(> 70mm/s). Also, Trinus was assembled to don’t give much work to be build. 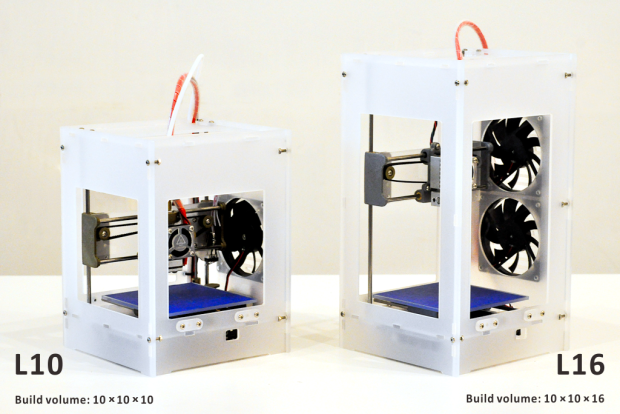 With 11 parts, a user can build the printer in 30 minutes. The print area is 120x125x125mm, that seems small in comparison of the other 3dprinters in the market. A disadvantage is that the Trinus only work with operation systems Windows and Mac. And that leaves a huge gap on for the Linux Makers. Trinus have support to print with PLA, ABS, Wood, PC and Flex. Its a good diversity. Another cool feature of Trinus is that you can turn the printer into a laser engraver. And its easy to change between the two modes. They did a good work on that. But if you don’t care about printing fast, Trinus isn’t for you. The all metal frame reduce the amount of vibration, and that allows you to print faster. But with smart settings on you favorite slicer, you can assemble models with good quality in more simple 3dprinters. Another disadvantage is that on the basic model($250), Trinus don’t have a heated bed, and for some makers that could be a problem. Trinus have an affordable Aluminum Enclosure that you can add on. This enclosure is to keep the environment of the print with ABS controlled and safe. Like every Kickstarter project, there is a risk. But I think that Trinus appears to be a good project, we need to wait to the launch and review a real machine to know if it worth it. Also, the Youtube Channel Maker’s Muse, made a review of the project and the company Konama, creators of Trinus, sent him a the 3d printer and he currently makes the review of this printer that pledged more then 1 million dollars on KickStarter.